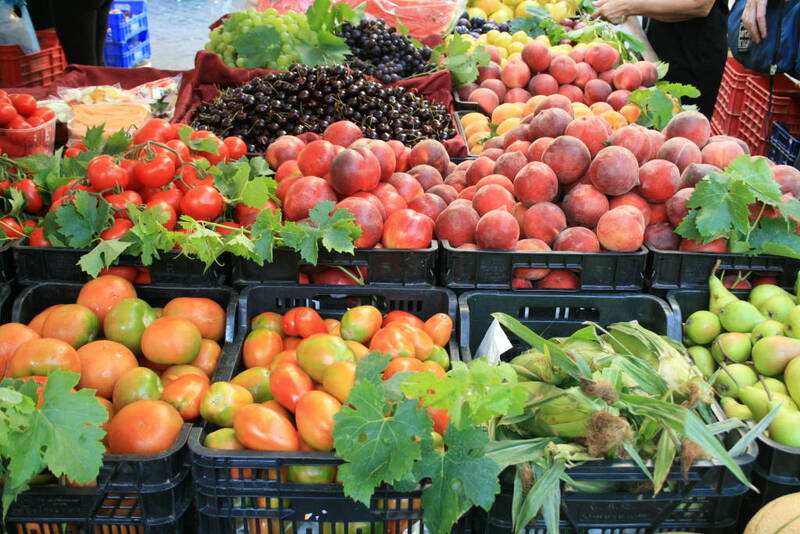 What fruit and vegetables are in season in September in Italy? Welcome back to our monthly appointment with fruit and vegetable seasonality. September holds a great responsibility: a major season change, the beginning of Fall harvest and the need for new nutrients that will sustain us through the work year ahead. Here’s our brand new list of what fruit and vegetables are in season in September in Italy. Even though Italians have cooking and eating seasonal produce in their DNA, lately mass distribution and globalization have confused these annually, natural guidelines, making the calendar distinction in our shopping bag a little fuzzy. Strong and peppery, with spiky leaves that boast a slight ‘bite’ to them, arugula (or rocket) is the perfect addition to a mixed green salad. If you see ‘rucola’ or ‘rughetta’ for sale on the market stall, grab it while you can –– fresh, organic arugula is in season between July and September, so better get your fill while it’s still in the market! 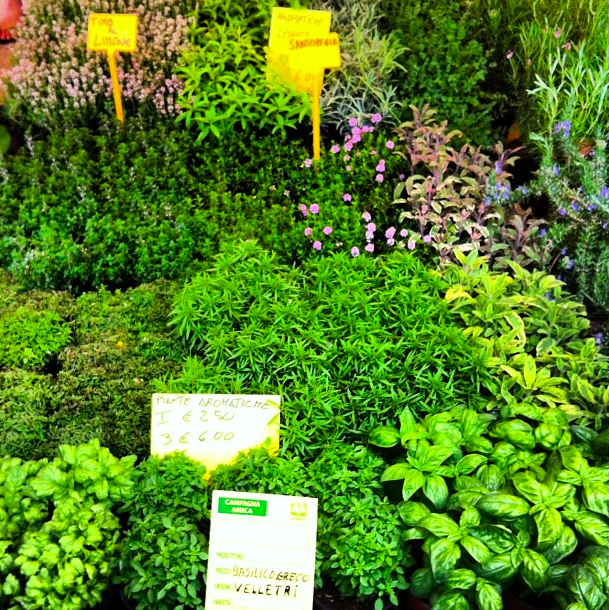 The sweet, strong aroma and flavor of basil graces Italian tables until the end of September. I am already in mouring. Fortunately I can preserve the magic of basilico by pounding the last fresh harvest in a pestle and mortar (or blitzed in short bursts in a food processor) with garlic, pine nuts, pecorino and olive oil to make pesto. Like cabbage and cauliflower, broccoli is a cruciferous (brassica) and is sometimes known by its Italian name, Calabrese. Its tight clusters of deep green buds and thick, edible stems are a great source of Vitamin C and calcium. Go for firm, bright green, undamaged heads (if it’s yellow its already past its peak) and firm stalks. In season between late spring to November. Available in Italy at its best between June and October, carrots are some of the most versatile root vegetables around, thanks to their sweet flavor, which means they can be used raw or cooked, in both sweet or savory dishes. Particularly tender and sweet, young, thin carrots are best purchased with their feathery greens still attached. Trivia: Did you know that up to the Middle Ages, all carrots were purple? The orange variety was first developed in 16th-century Netherlands by patriotic growers who bred it in tribute to king William I of Orange. he unsung hero of the vegetable world is available year round but is at its best from September to May. Knobby, odd-shaped celeriac is recognizeable in the market as the weird root with rhino-tough skin. The surprise is the subtle, celery-like flavor, with nutty overtones. Try it as mash, in big-flavored, slow-cooked stews, or in its classic form, and as they do en France, as a remoulade. In season in Italy between July and September, cukes are cucurbits, which means they’re from the same family as the melon, zucchini and squash. Usually more than 90% water, cetrioli originated in India, cultivated for at least 3,000 years, and probably introduced to other parts of Europe by the Greeks or Romans. These are reported to have used cucumbers to treat scorpion bites, bad eyesight, and to scare away mice. 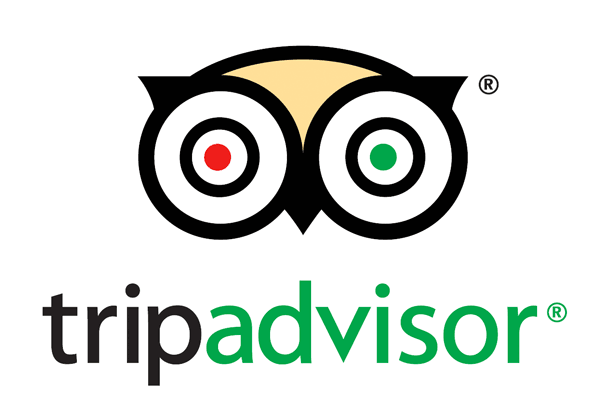 Available July to September. Eggplant (or Aubergine) are at peak season between May and September. 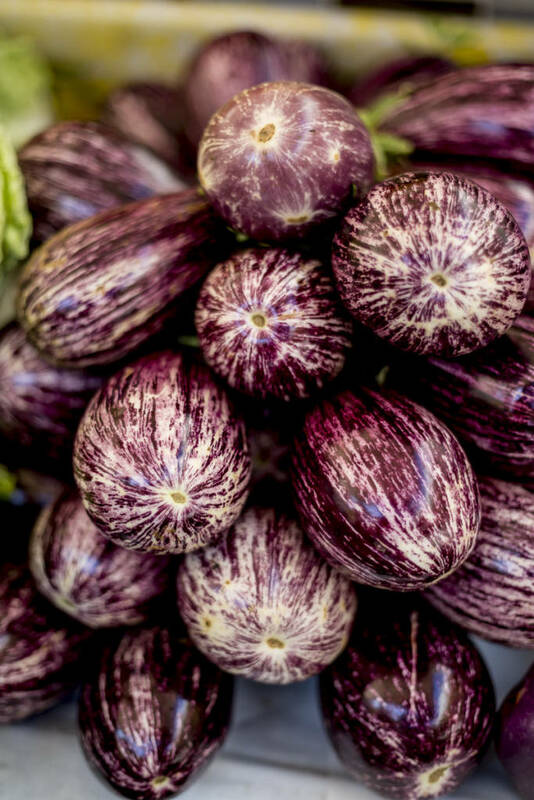 Whether slender, speckled and striped, or bulbous, glossy, deep purple zepplin-like, melanzane are a staple in southern Italian cuisine. Eggplant’s mildly smoky flavor and flesh that’s spongy when raw but soft and meaty when cooked, lends itself to a large number of very popular Mediterranean dishes, like “melanzane alla parmigiana” (Eggplant Parmesan) for example, in which the aubergine slices are fried and then layered with tomato sauce, cubed mozzarella and fresh basil, dusted with grated Parmigiano and then baked in the oven. Fennel’s typical bulb is delightful eaten raw, with a texture that is crisp and the flavor assertive and anisseedy; while when cooked, fennel bulbs taste sweeter and the texture is softer, almost buttery. Available May to December, the fronds of the fennel bulb are also a welcome aromatic addition to Sicilian pasta dishes and other Mediterranean preparations. Part of the lily, or “allium” family, of which onions are also a member, aglio (garlic) is one of the most indispensable ingredients around, and plays a pivotal role in Mediterranean cuisine. 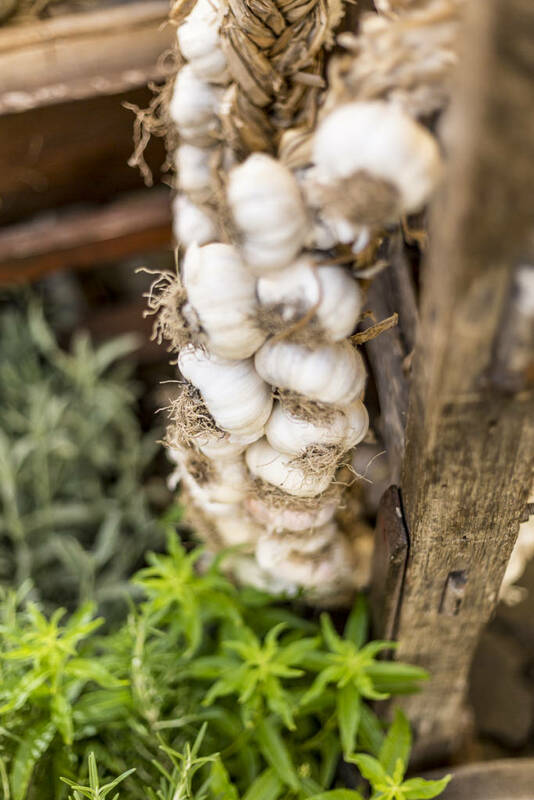 The dried bulbs, assembled in braids, are available all year round, but fresh garlic appears in Italian markets between June and October. Bulbs are composed of many individual cloves enclosed in a thin papery white, mauve or purple skin. The flavor is fiery, pungent and crunchy when raw, as it cooks it becomes more mellow and creamy. Sauteéd in olive oil, garlic is used as a flavor punch in many recipes, sauces, stews and meat roasts. Rub a raw, peeled clove on toasted slices of homestyle bread and drizzle with cold-pressed olive oil with a dash of sea salt for the ultimate bruschetta experience. I know what you’re thinking: “I can open a bag of frozen green beans any time of year” but what a pity it would be to miss out on the fantastic flavor of in-season green beans! Green beans, also known as string beans, or snap beans are now in season, and are a delicious summer legume with an impressive antioxidant capacity. Available fresh between July and September, so get your green bean action on. Looking something like a Sputnik rocket in vegetable form, with a squat bulb and antennae-like shoots, kohlrabi is part of the cabbage family. The Italian name cavolo rapa translates as ‘turnip cabbage’ and the mild, sweet flavor is somewhere between a turnip and a water chestnut, with a crisp, crunchy texture. It can be found in two colors, pale green and the less common purple. Available all year round, kohlrabi is at its best from mid-July to mid October, but peaking in August-September. Contains awesome amounts of potassium, magnesium and Vitamin C.
Mint is at its peak from May to September: look for bright green, perky leaves that aren’t wilting. There are several types of mint, each with its own subtle difference in flavor and appearance. The most popular type is spearmint, with its pointy, serrated leaves and a familiar refreshing taste. Peppermint has longer, darker leaves and a stronger flavor and is popular in desserts and confectionary. In Italy, and Rome in particular, mentuccia (a wild-growing variety known as calamint, nepetella, or Emperor’s mint) is commonly added to braised artichokes, frittata or tripe. Fresh peas are available almost all year round and at their peak between May and November. As is the case with all types of legume, they are best eaten just-picked, either raw in salads or braised in butter with pancetta and shallots. Sometimes called bell peppers or capsicums, these sweet, mild peppers come in variety of colors, and are related to chilies. Whatever color you find them (at their peak between the end of July and October) they’re all essentially the same variety, but have been allowed to ripen to different degrees; green are the youngest and sharpest, followed by yellow, orange and then red, which are the sweetest. You can also find longer, pointed examples, locally called peperone corno (horn), which are sweeter still, and the sweetest are the miniature friggitelli, which look like unripened green chili peppers, but that once tossed in a pan with just a drizzle of olive oil and an unshelled clove of garlic, reveal a sweet and smoky flavor. Samphire has vibrant green stalks, somewhat similar to baby asparagus, with a distinctively crisp and salty taste. It grows in rocky, salt-sprayed regions along the sea coast or in seaside marsh areas. It is sometimes called sea asparagus or sea pickle. 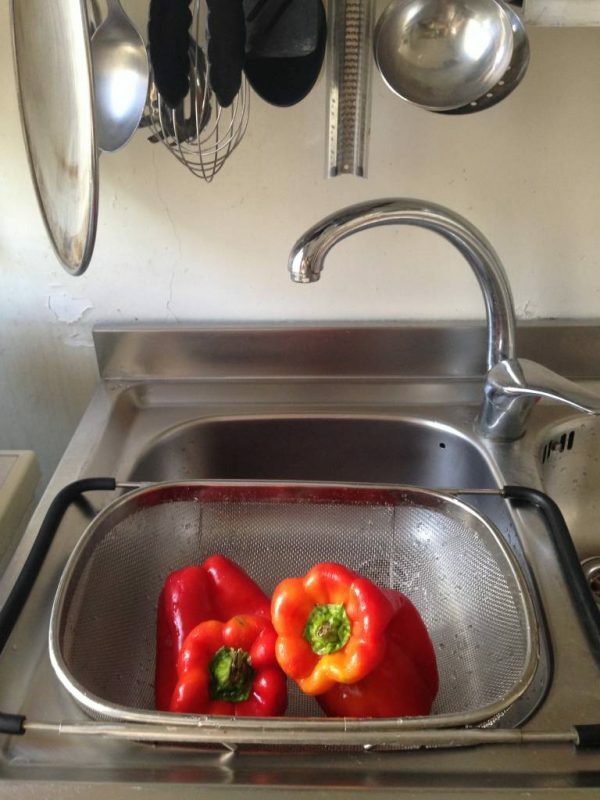 It can be used raw in salad, though it tends to be very salty so it’s more often boiled or steamed for a few minutes. In season July through mid-September. The bitter, earthy flavor of spinaci is distinctive and particularly complements dairy products and eggs. 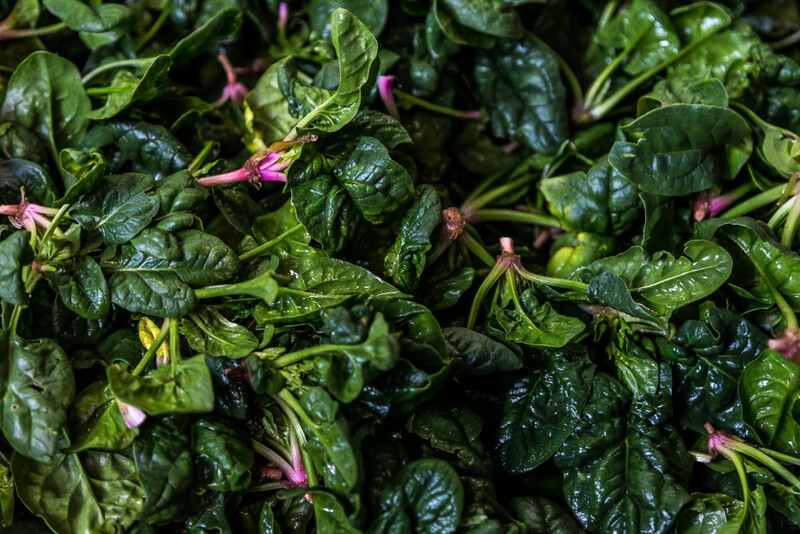 Available between April and December, the milder, young leaves can be eaten raw in a salad, while the older ones are usually cooked (spinach has one of the shortest cooking times of all vegetables – two minutes max!). Watch out, since it also reduces dramatically in volume during cooking. Available all year round, but best from July through to early November, Swiss chard is also known as just plain chard, and has large, fleshy, tender deep green leaves and thick, crisp stalks. Different types of chard have different colored ribs – some are white, some are a golden orange and some are red (called ruby or rhubarb chard) – there’s even rainbow chard, but there’s very little difference in taste between these. 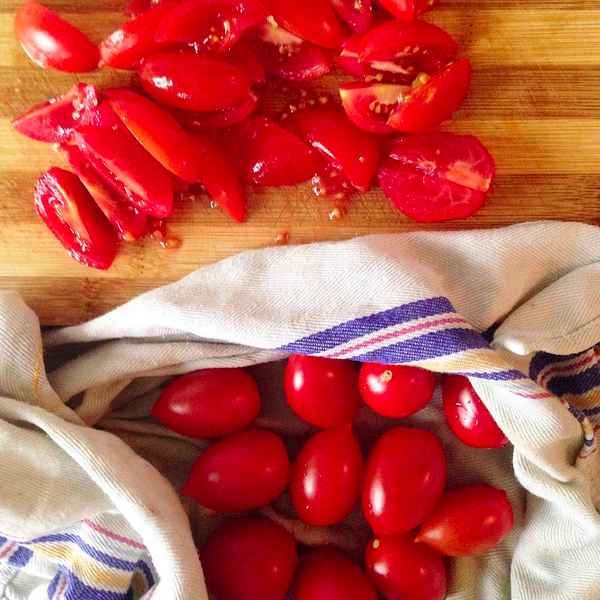 Most pomodori have a sweet, gently tangy flavor and are sensational both raw and cooked. The number of tomato varieties run into the thousands, and they vary in size from the huge steak tomato to tiny cherry tomatoes. As end-of-summer progresses, new varieties of tomatoes will continue ripen on the vine, so now be looking out for the oval Piccadilly, or the oblong San Marzano, and other local heirloom varieties. Zucchini are at their best from June until September. The best variety is the ribbed “romane” which when young and just-picked, come topped with a beautiful, edible orange flower. You can stuff courgette blossoms with mozzarella or ricotta and a suspicion of oil-packed anchovy, dip in light batter and deep fry; or toss them in olive oil until just wilted, then stir through pasta. Zucchini flowers don’t last so buy and cook them on the same day. They go well with mild cheese like mozzarella or ricotta, crispy pancetta, pasta, as topping for pizza… the list goes on. Gala variety apples are in season at the end of summer, and the ones I’ve tasted this year are phenomenal. 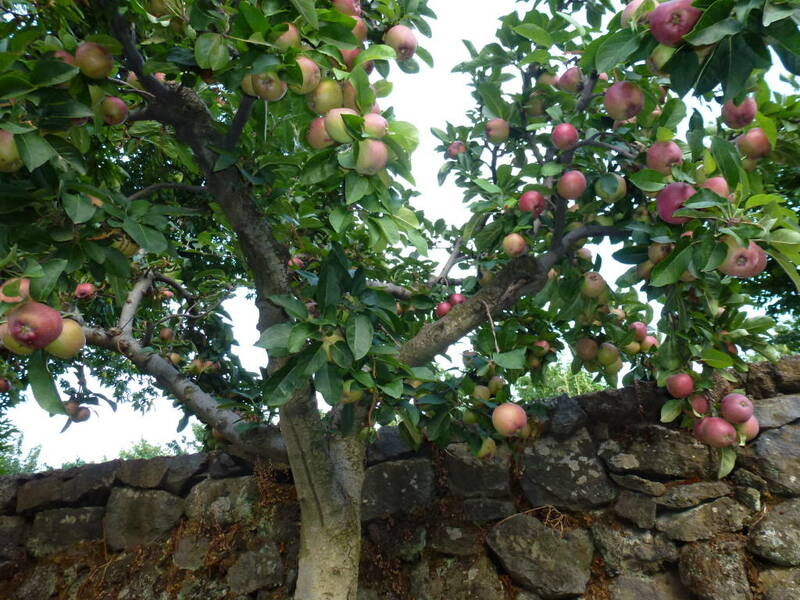 At their best between September and November – crisp and juicy or more yielding, according to variety – apples are a good source of vitamins A and C, as well as fiber. An apple a day… you know the drill. Available from the end of July to mid-October, blackberries locally called more [MOH reh] in Italian, are wonderfully juicy, bursting with vitamin C and great eaten raw (straight from the hedge!). They can be also cooked in coulis and pies. Look for plump, shiny, tender berries, with none that are mushy or moldy. If you buy a punnet, check that the underside isn’t stained – that means the lower level of berries has been crushed. 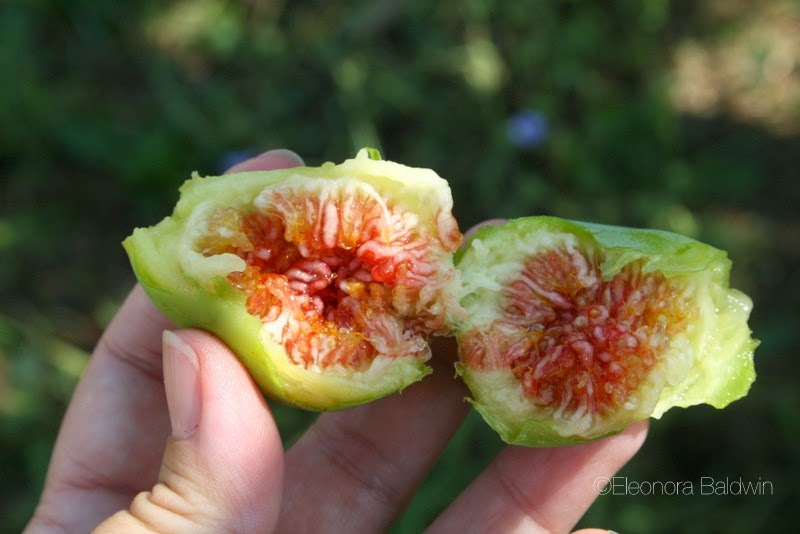 Although not juicy, the fig is an incredibly sensuous and luscious fruit, with a delicate aroma and sweet flavor. Originally from Asia, figs are now grown across the Mediterranean and there are hundreds of different varieties, with colors ranging from green to purple/black. At their peak in Italy between August to early September, markets display green varieties as early as mid July, perfect addition to pizza bianca and prosciutto sandwiches! Have an abundance of figs? Watch this video. The key to purchasing a good quality melon is to find one that’s ripe, which is sometimes a challenge because oftentimes they are picked while still unripe. 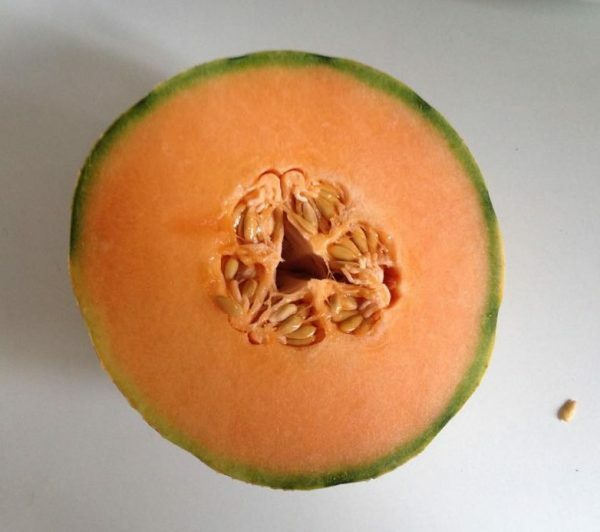 There are many clues that you can look for to find a ripe melon, a reliable one is smelling the bottom of the cantaloupe (also called the blossom end, opposite from the stem end where the vine was attached). 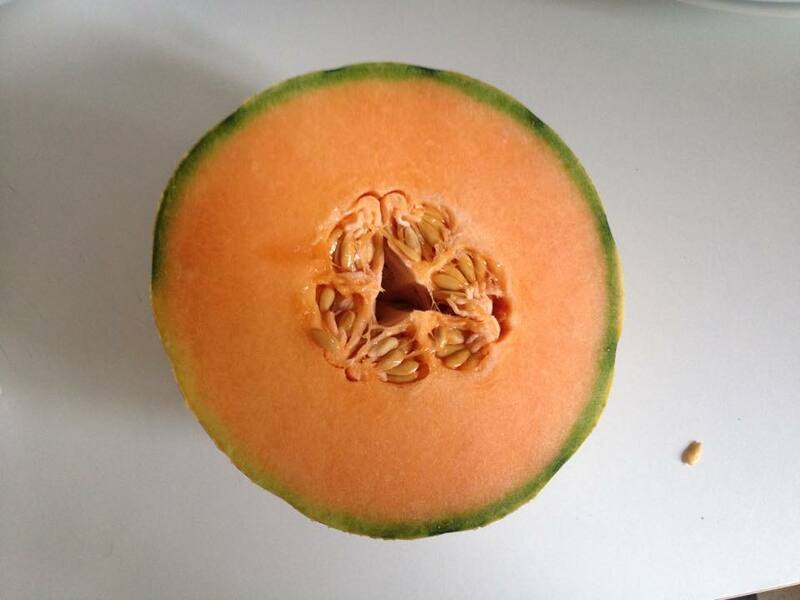 Unripe cantaloupes are likely to have a very faint smell, or no smell at all. Ripe cantaloupes on the other hand, have that spectacular, explosive cantaloupe aroma. To enjoy melon beyond the marriage with paper thin slices of prosciutto, you can purée the cantaloupe pulp along with peeled soft peaches to make a refreshing seasonal cold soup. Or you can slice honeydew melons in half horizontally, scoop out seeds and use each half as a container in which to serve fruit salad splashed with ruby port. Available in Italian markets until October. Available through September, nectarines are the smooth-skinned variety of peach native to China, similarly flavored to peaches with slightly more acidity. The flesh can be light pink, yellow or white and is delicate and sweet. Nectarines are high in vitamins A, B, and C, and are lower in calories than peaches. Sweet, juicy and fragrant, peaches are one of the most beautiful fruit around. Roughly the size of a tennis ball, they are covered with a velvety down, and most commonly have a red-flecked yellow skin and golden yellow flesh, except for white peaches, which have a pink-blushed cream skin and pinky white flesh. Although the most common are spherical, it’s possible to find flat, disc-shaped varieties of peaches locally called tabacchiere, because they are said to resemble old fashioned tobacco snuff boxes. In the English-speaking world I’ve seen these called Saturn peaches, in season only until September, so hurry! In season September through November, prickly pears – also known as cactus fruit – typically grow on the flat pads of a the nopal, a Central American native cactus that populates many southern Italian regions. 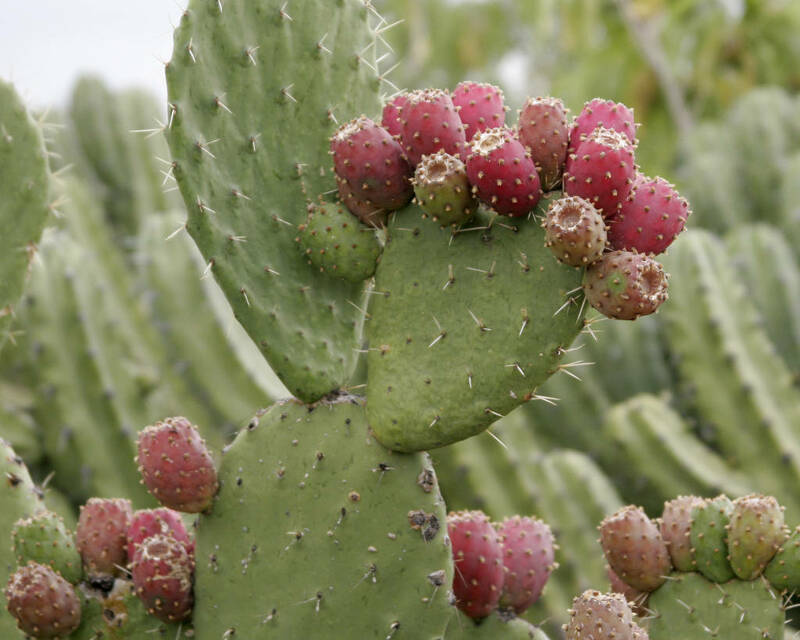 A sweet, creamy pulp is concealed by a thorn-studded skin. To get past the prickly exterior and into their sweet, succulent soul you’ll need kitchen tongs, a sharp knife, tweezers and a pair of hefty gardening gloves. Plum season in Italy extends from late June peaking in August, through Late September. Like all stone fruit, plums are relatives of the peach, nectarine and the almond, so not easily tolerated by people who suffer from nut allergy. The European plum is thought to have been discovered around 2,000 years ago, originating in the area near the Caspian Sea. Even in ancient Roman times, there were already over 300 varieties of European plums! Favorite Italian varieties are the oblong purple cosce di monaca (nun’s thighs) and the tiny, round and green Regina Claudia. Plums are a very good source of vitamin C, they are also a good source of vitamin K, copper, dietary fiber, and potassium. Available from June to September, raspberries have a wonderfully intense, sweet taste, and many consider them to be the finest flavored of all the ‘frutti di bosco’ berries. As raspberries are very delicate, try not to wash them (if organic – or better, self foraged in the wild – there’s no need to). Just pick off any bits of stalk or leaf and serve with cream or gelato. Thought to have originated in Africa, watermelon’s crisp, sweet flesh is phenomenally juicy and refreshing, and an Italian summer staple. There’s a saying in Rome on cocomero, that goes, “magni, bevi e te lavi ‘a faccia” –– describing how the fruit allows you to simultaneously eat, drink and wash your face. Watermelon is great cut into wedges, chopped into fruit salads, which can be added with crumbled ricotta salata and mint for an original twist. 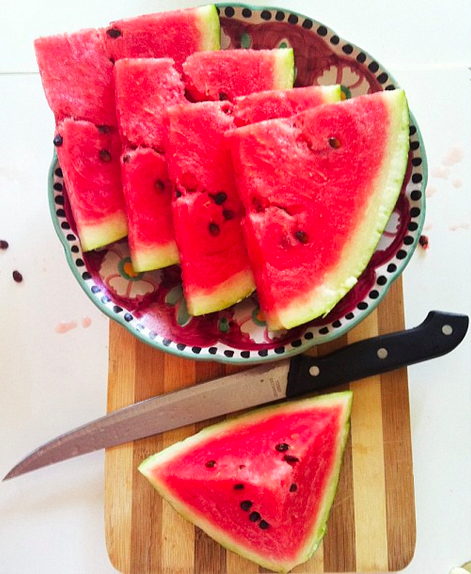 Get your watermelon fix as late as October. What fruits and vegetables are in season where you live?